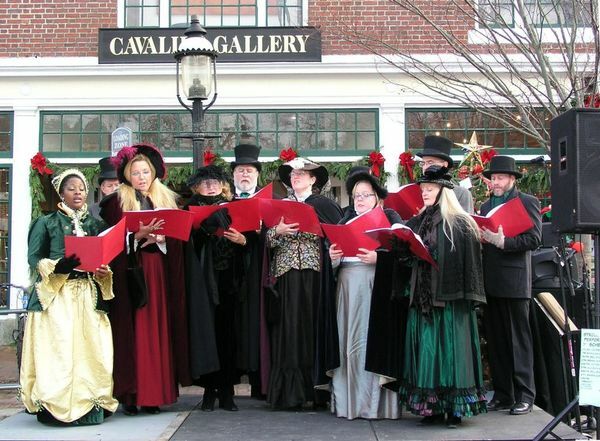 Bygone Living: Nantucket Christmas Stroll! the island of Nantucket is transformed into a Dickensian wonderland! ceremony in which hundreds of trees lining the island are officially lit. And how could I forget? vessel) on Saturday, parading up Main Street for a merry meet and greet! area, I strongly suggest you check it out! love your christmas header, and the background. very cozy and sweet! My husband promises me that next year we will go for sure. I have wanted to go for twenty years. 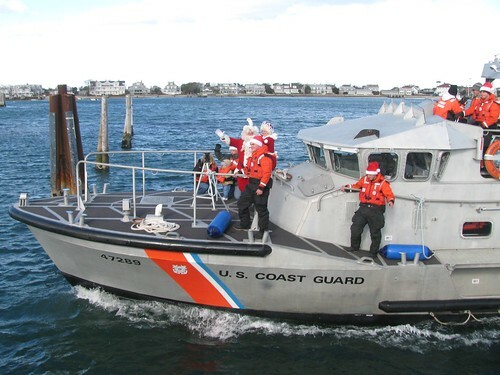 Great photos, especially Santa on the Coast Guard Boat. I would love to get away and attend with my husband! It sounds like a divine way to celebrate the holidays. I would love to be there! I was actually going to post about this in upcoming weeks.The Bavarian Christmas linky party is now open-won’t you come and join us at http://dobermans-by-the-sea.blogspot.com/2010/11/1st-christmas-linky-party-at-dobermans.html and while you are there join the give-a-ways going on. the Christmas Stroll looks like FUN !!!! This is on my bucket list. I've been wanting to go for many years. The photos are gorgeous. Now that's the way to do Christmas right. I sure do wish Michigan had something like that. Oh to be in Nantucket for Christmas. How incredibly dreamy. I would love it. You are such a lucky girl that you can visit these places here and there. One day... one day... I'll be out there. I know I will. I'm dying to go to Nantucket! I've never been! I would love to go to the stroll. I think I'm going to put it on my "bucket list," maybe that will give my husband a nudge! LOL!!! Beautiful photos! The magic of Nantucket surely is in full force for the Stroll Weekend. It is beautiful! I just know you are loving this Christmas season! This sounds delightful! I will put this on my list of places that I want to visit! I like your new blog header, it's so warm and inviting. Thanks for sharing and have a great Christmas! Your site looks so festive and New Englandy. 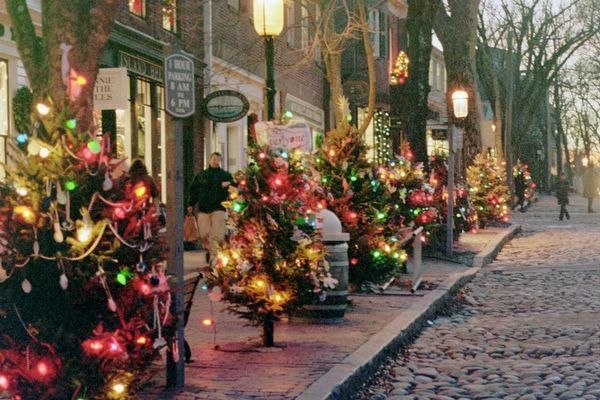 I would love to visit Nantucket at the holidays one year. I recently purchased a book that is brimming with photos of the island and homes that are decorated for the holidays. It is sigh worthy and inspirational. Autumn is not a favorite season, but I love it when December rolls around. Hi Erin, hope all is well with you. Wow, Nantucket Christmas . . . how beautiful!! Can you believe I still have a few more days to post of our New England trip?! I will finish the tour after Christmas. I hope you can come and check it all out and see where we went/stayed, etc. It will all be under New England on my side bar. Thanks. Yahhhhhooooo! Nantucket. Love it, but seem to end up with Sue and Joe on the Vineyard when we are in the area. Friends trump travel. Thanks for your sweet and welcome words on my posting. I think the contrast between the holiday joy and the problems makes everything more stark. Love the image of your Kitchen Aid caked up! oh, i love this!!! i wish that i had known about this! thanks for sharing- i'll have to check it out next year:). hope you're enjoying December:). I wish I was close enough to go- it would be beautiful there I am sure!